Let’s face it. 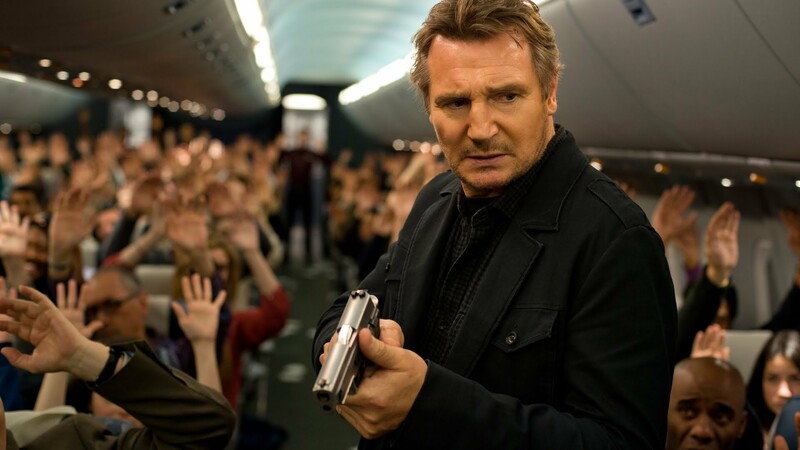 Non-Stop is not an easy film to sit through. But hand me a bottle of Jägermeister (large, please) and an abundance of shot glasses and it would be a different matter entirely. So, for your enjoyment and the promise of your sanity, here’s the rules to the Non-Stop Drinking Game. I’ll meet you on its Home Ent release date with a sleeping bag and a couple of paracetamol. Bottoms up. – Bill’s family (that’s Neeson, obvs) is threatened. – An Oscar-winning (or nominated) actor says a line that makes you want to blow your brains out. This includes Scoot McNairy, Corey Stoll and Shea Whigham who totes have it in them to win a gold statue. – Bar Paly is treated as horrifically generic. – You are told how much money needs to be transferred. – The network goes down. – The network goes up again. – You’re confused if the network is up or down. – One of the air hostesses looks like an extra from Star Trek. – You think you know who the culprit is. – Expositional dialogue is spoken. Hell, finish your drink. – You are envious of Lupita’s amazing guns. – Lady Mary looks concerned. – You forget this isn’t Taken. – Lupita says something in a flawless accent and makes everyone else look rubbish. Cheers! – You laugh at the name of the airline. – Corey Stoll looks like he means business. – Bill uses predictive text in a ridiculous way. E.G. : He types out ‘passengers’, but can’t be arsed with something shorter. – You laugh, but aren’t meant to. – Shea Whigham is criminally wasted. Again. – The camera wants you to suspect somebody. – Someone makes a generic terrorism reference. – You forgot Linus Roache existed. – Someone says ‘wanker’. Us Brits can’t stop. – Julianne Moore makes you question your sexuality. Females only. – Something nonsensical happens. Down your drink, then pour another. Down that one too – you need to get through this somehow. – The passengers putting their hands in the air look like they’re having more fun than you.